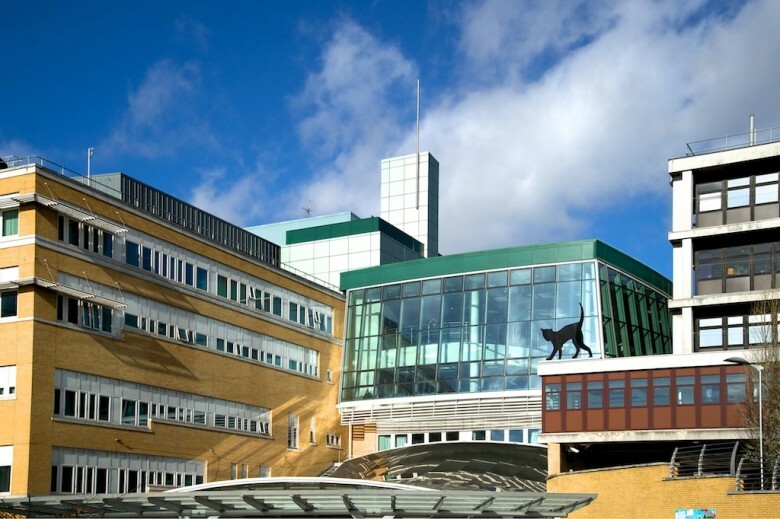 The south and modern aspect of the Whittington Hospital complete with black cat. Medical services here commenced in 1473 but the hospital apparently originated in the mid-C19th. It now operates from various sites and has over four thousand staff.